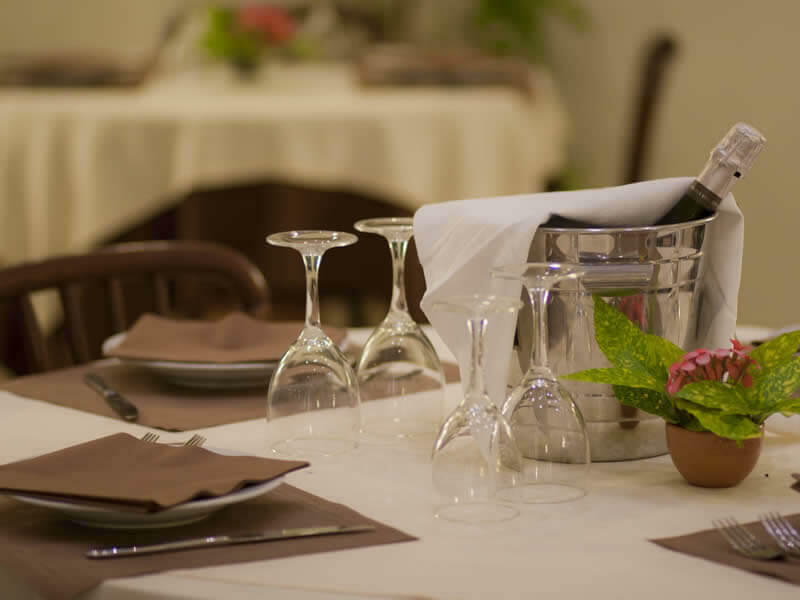 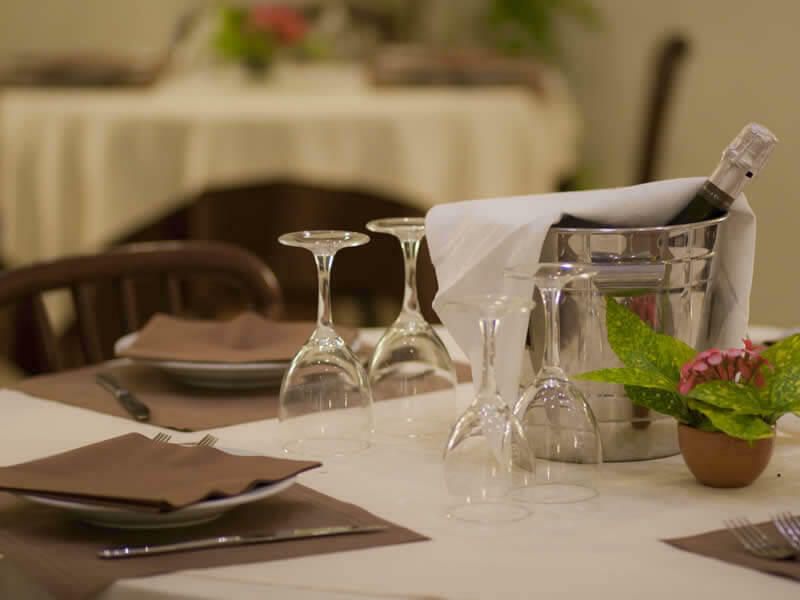 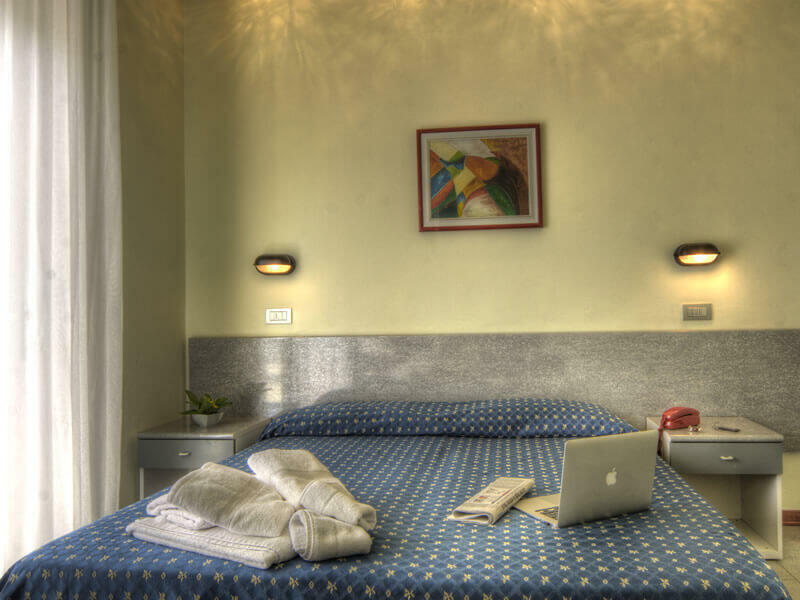 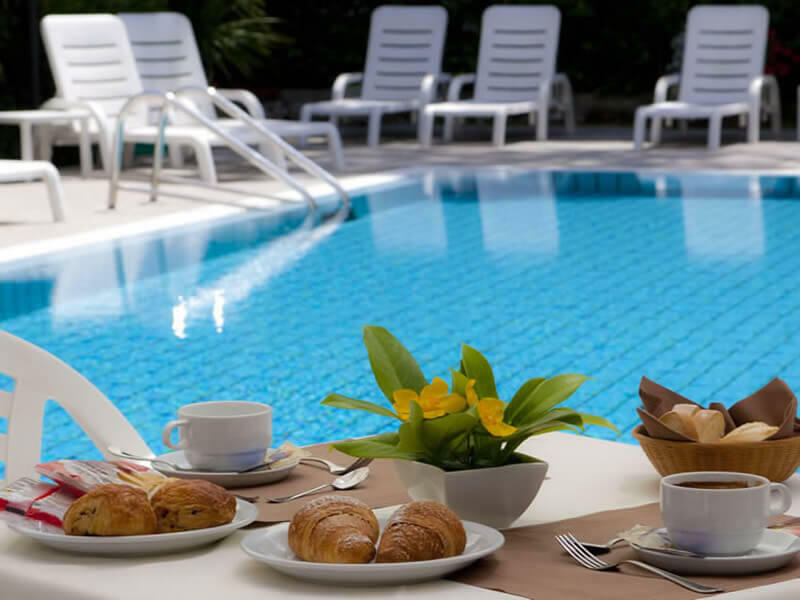 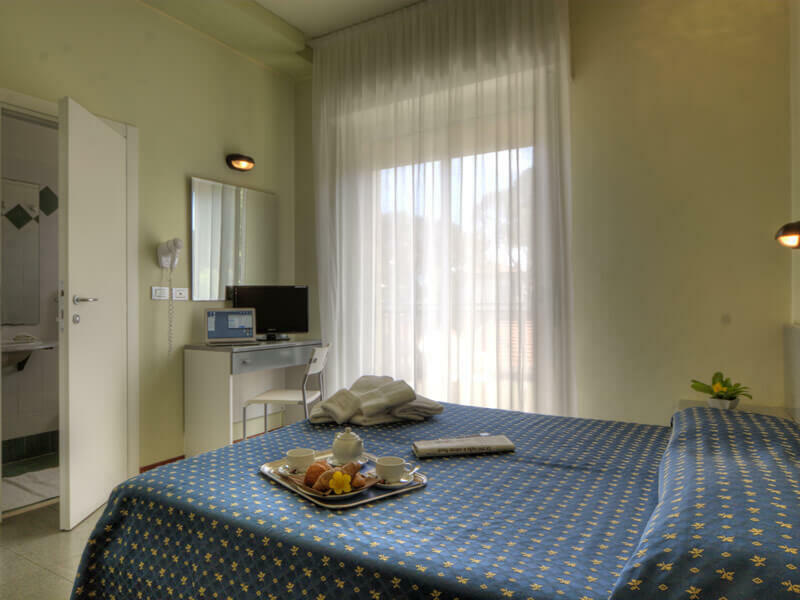 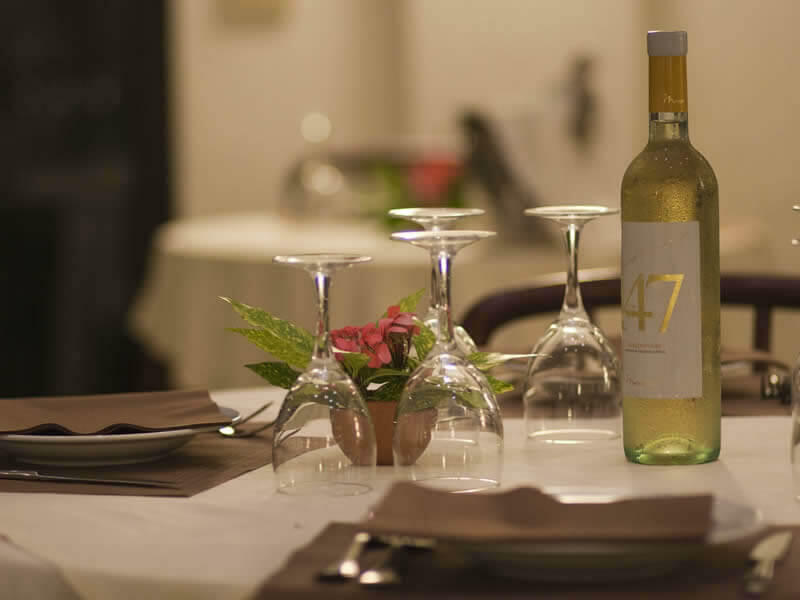 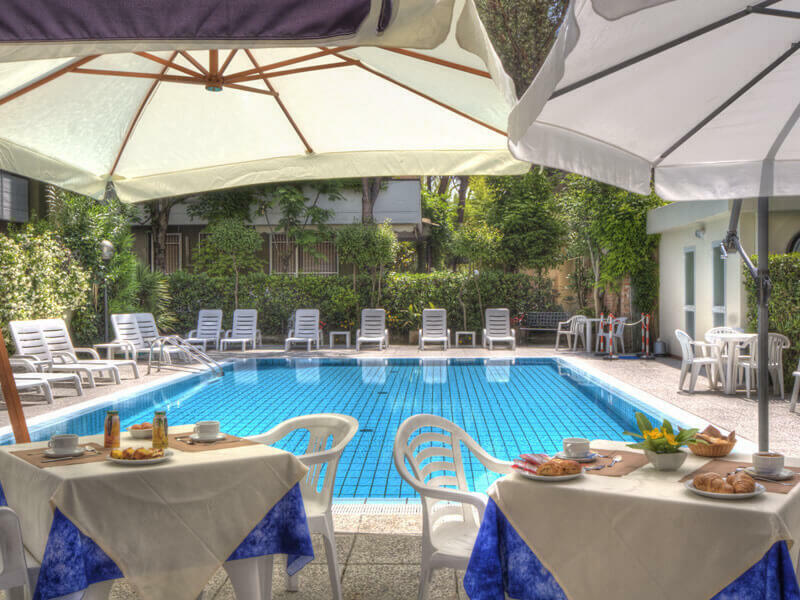 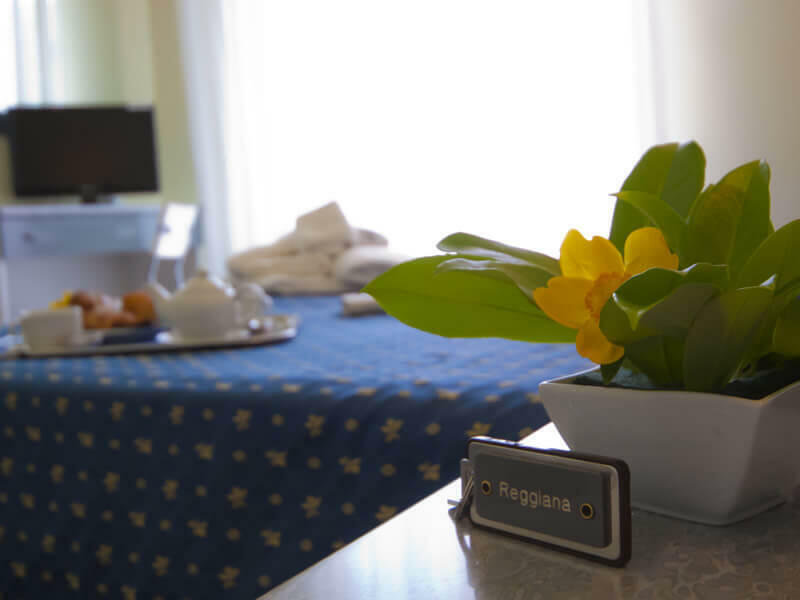 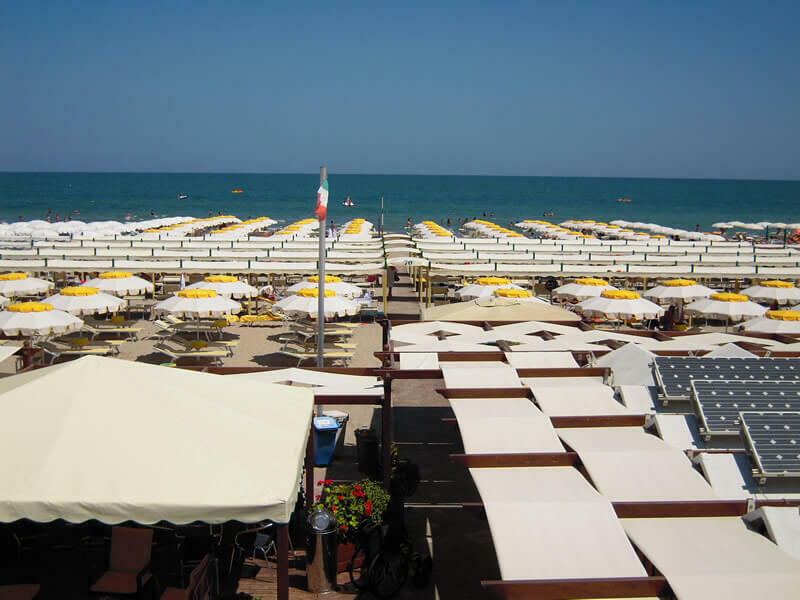 Hotel Reggiana is a cosy 3 star hotel in Riccione located in an elegant and lush area, far from the confusion and ideal for your holiday in total relaxation. 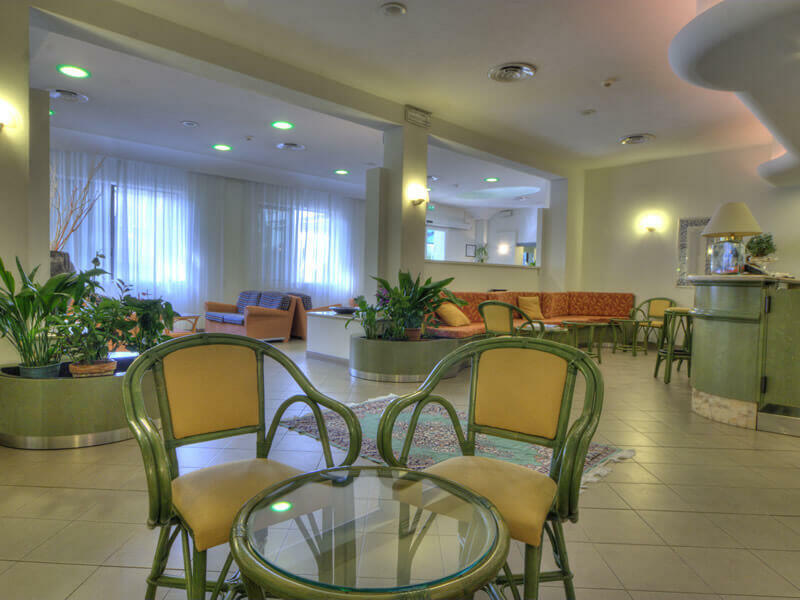 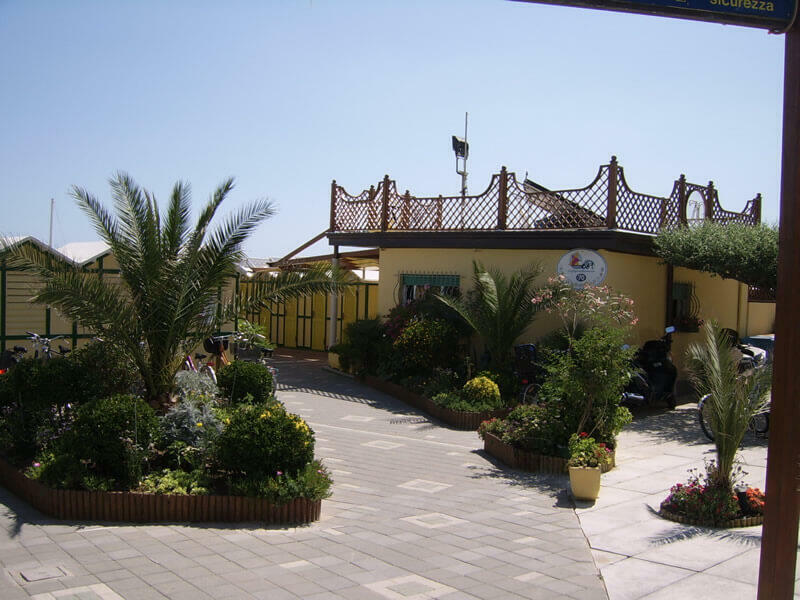 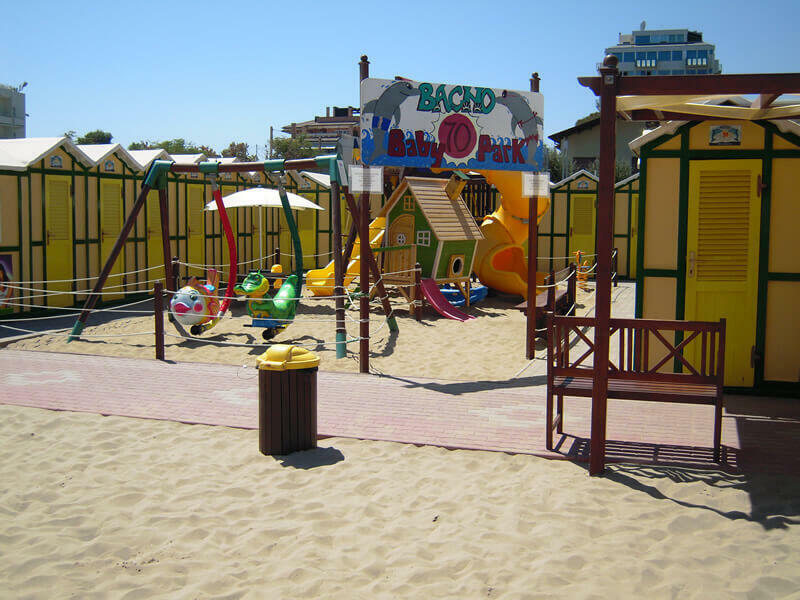 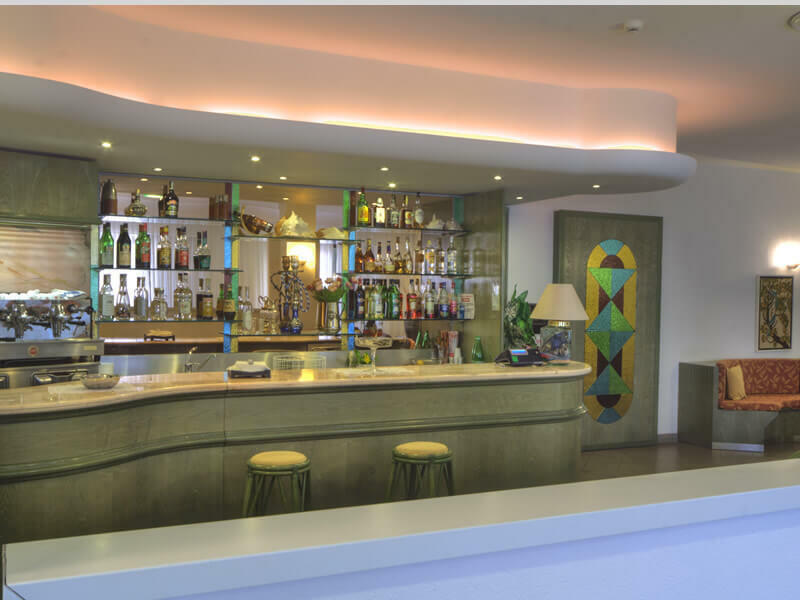 Come and discover our family hotel near the sea of Riccione and book your carefree holiday: our staff will always be at your service for every need. 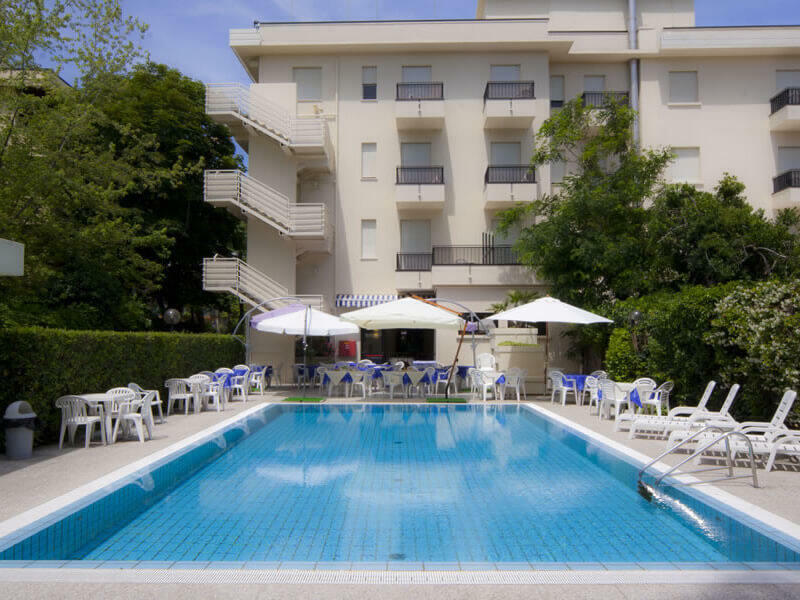 We are just 200 meters from the sea and 5 minutes’ walk from Viale Ceccarini, the heart of Riccione, dotted with trendy shops, clubs, restaurants and exclusive boutiques. 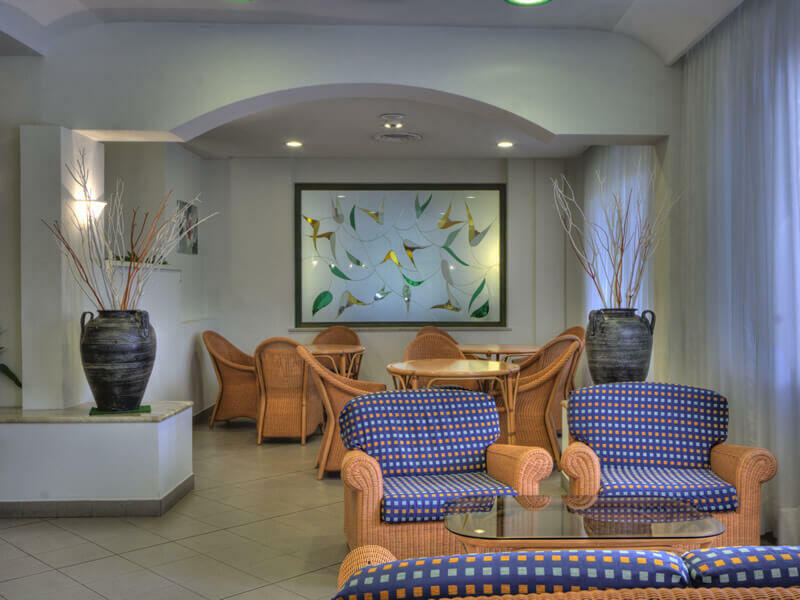 Our favourable position also enables us to be strategically close to the Congress Centre, the Thermal Baths, the Park Aquafan and just 11 minutes from the Motorway Exit: once you arrive by car you can park in total safety in our garage or in the parking lot in front of the hotel.